Eight decades after the Horten brothers initially designed a flying wing during World War II, the Horten HX-2, named in honor of Reimar Horten, flew to the Aero Friedrichshafen show this week. 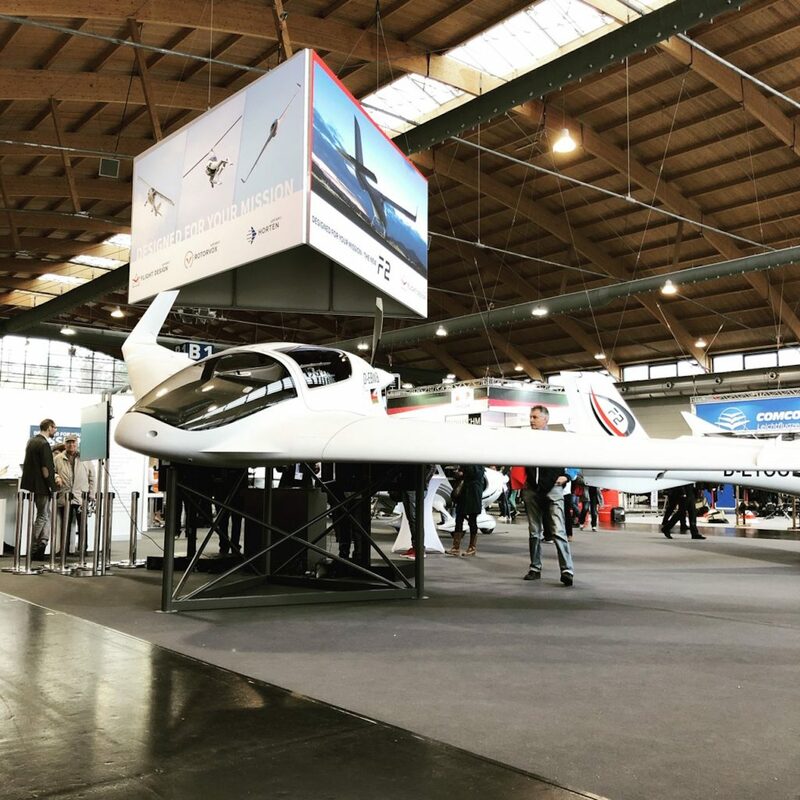 Developed by Horten Aircraft, the two-place prototype flying wing took to the skies this winter and has accrued about 15 flights and six hours, including the trip from Horten headquarters at Kindel Airfield near Eisenach, Germany, to Friedrichshafen. The tailless, fuselage-less blended wing design features a wingspan of 10 meters (32 feet) with winglets at the tips. A rear-mounted 100-hp Rotax 912 powers the aircraft with a pusher propeller. Made of fiberglass and carbon fiber honeycomb composites, the HX-2 carries two fuel tanks, each capable of holding 120 liters (31.7 gallons). All surfaces generate lift. The result is an aircraft anticipated to have a range of up to about 3,500 km (2,175 miles), a cruise speed of 270 km/h (167 mph), and payload of 200 kg (441 pounds), at least in unmanned configuration. Company executives were hesitant to provide firm or further details, saying they will prove out during the flight-test campaign. Owned by Flight Design parent Lift Air, Horten was established in 2015 with the dream of bringing the blended wing design to fruition. But for Mattlener, work began nearly 30 years before that, when he collaborated with Reimar Horten (1915-1994) on predecessor designs, the Pul 9 and Pul 10. That designs continued refinement culminated in the HX-2 prototype. Company executives see this as a baseline for multiple possibilities, including battery- or hydrogen-powered and unmanned and VTOL configuration. They have even looked at a twinjet, but that is purely conceptual at this point.